More than 100 international students who spent eight years fighting for compensation after being wrongfully promised three prestigious industry designations have finalized a $2.73-million settlement with George Brown College in Toronto, the school's president confirmed Saturday. 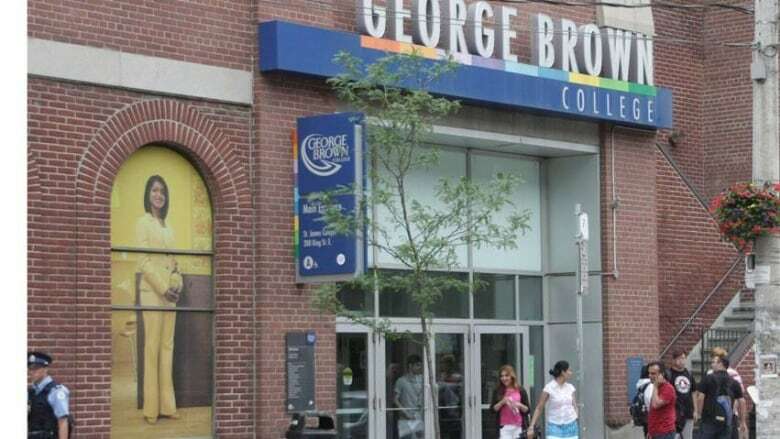 Toronto's George Brown College has finalized a $2.73-million payout for international students the court ruled were misled by the description for a business course. Ontario Superior Court Justice Edward Belobaba settled the class-action suit earlier this month, approving a payout for 108 students who attended the school's international business management program between September 2007 and April 2009. The students came from around the world to take the course — about two-thirds from countries including India, China, Turkey, Brazil, Russia and Syria — and paid roughly $11,000 in tuition. Although the course description told them they could receive "the opportunity to complete three industry designations/certifications in addition to the George Brown College Graduate Certificate" the students would learn that the school, in fact, had no agreement that would lead them to earn qualifications in international trade, customs services and international freight transportation. When students realized they wouldn't qualify for these credentials, they filed a lawsuit in 2008, the beginning of what became a drawn-out legal battle. The judge certified the lawsuit in 2012, a decision that was later upheld at the province's Court of Appeal. In his initial decision Belobaba said the course description "could plausibly be interpreted as meaning exactly what it said" and ruled that the college needed to be held accountable for misrepresenting the program. "Having paid a substantial tuition fee and related travel and living expenses, they could not afford the additional time or money needed to pursue the three accreditations on their own," Belobaba wrote in 2012. Although the judge found the description amounted to negligent misrepresentation, he said that the "careless" mistake shouldn't detract from the school's otherwise sterling reputation. He also noted that after students complained, the college tried to arrange reduced exam fees with the associations for those who tried to pursue the designations on their own. Under the terms of the settlement, international students will receive a maximum award of $22,484, while domestic students can receive up to $16,427. George Brown president Anne Sado confirmed that the agreement had been finalized this weekend. "There was, of course, never any intention to mislead and our commitment to our students has never been in question," she wrote in an email to CBC News. "But a situation like this provides a valuable opportunity to reflect on what we're doing and look for ways we can continue to improve."